I created this site to showcase Charles Missenharter's acheivements, instruments and family. The above sample is of retired Crystal Record's soloist Ned Gardner. He recorded 3 early 20th-century cornet solos on the Missenharter as part of the program of a 1980 album entitled "In Recital" (a Visiting Artist project for the NC Dept. of Community Colleges). (note: this is the only known professionally recorded Missenharter instrument). The works are "Stars in the Velvety Sky"(1919) by Clarke, "My Regards"(1908) by Llewellyn, and "Willow Echoes"(1920) by Simon. The above song was played by Ryan, who recently graduated high school -2017. and will be studying music at George Mason University next fall. 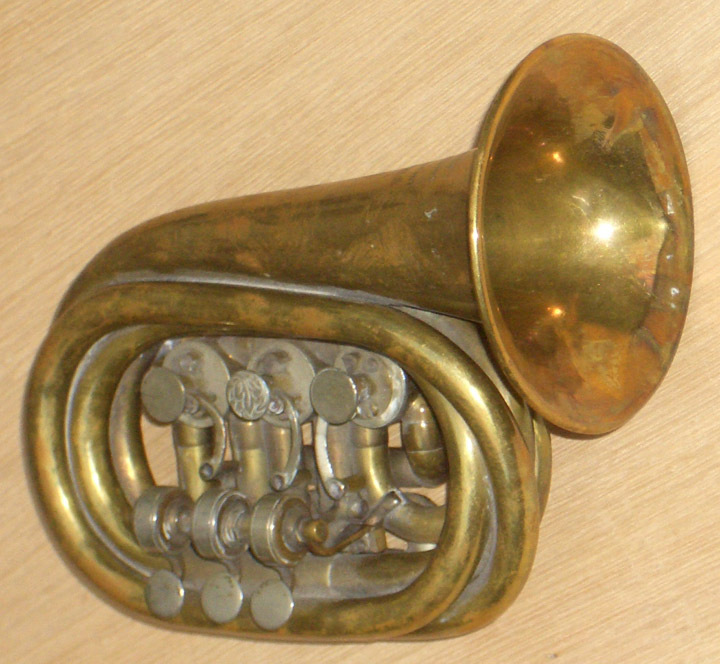 As a gift, his aunt found an old cornet that she wanted to give to him. It was a Missenharter! Charles built his company, won many awards and medals and created many brass instruments that are still around today. He produced Trumpets, Cornets, Tubas, Trombone, French Horns Euphoniums, Fire horns, Fire whistles and the cases required for each. Many of the instruments had elaborate carvings and many decorations. See the Instruments page for pictures of the ones I have been able to gather. Charles Sr. sold his company to Charles Coleman in 1891, Coleman kept using the Missenharter name until 1917. The value of the instruments varies widely. From many years of monitoring the value of the instruments, I have seen them from $ 50 to $100.00 for a tarnished and dented cornet to a little over $1,000.00 for a complete cornet with all original mouthpieces, shanks and original case. I have also seen a few instruments that were fully resroted and in playing condition go for a few thousand to $ 5,400.00 (cornets # 6802 and # 8378). But like with any collectable, the value is in the condition. Many of these that get listed are not in playable condition, air leaks, sticking valves etc. Please contact me with any questions or potential items for sale as I would be happy to share any other information I may have. We have no photos yet of the Missenharter facility, but above is photos of a typical insturment factory- C.G.Conn manufacturing- of roughtly the same time periods, most likely alot larger faciltiy though.